Positivity promoters and all-round great gals Girl Gang Sheffield are back with another of their ingenious speed mate-ing events on 28 March. The third of its kind, the spin on speed-dating, which is open to people of all genders, will be held at The Leadmill, the largest venue so far for the collective’s rebellion against the uncomfortable pressures of dating and career focussed networking. Ahead of the event, which promises attendees genuine new friendships, we’ve spoken to Hannah Clugston for the low-down on the gang’s roots, and what you can expect on the night. Where did the concept for speed mate-ing come from? Once we leave the structure of school or university, it can be harder to make friends. At work you might not naturally get on with your colleagues or want to hang out outside of the 9-to-5. So, Megan Griffith, one of the co-founders of Girl Gang, wanted to create an event where you could make friends and it wasn’t weird to ask someone for their number. In society, romantic relationships are often prioritised, and we have systems for finding a romantic partner – you might ask someone on a date or go on tinder – but those structures aren’t really in place for making friends. There’s not really a blueprint of how to make a friend – we wanted to do something about that! Your next speed-mate-ing event in Sheff is set for 28 March. This being the third event of its kind here, would you say the concept has been a success? If so, has it come easy? Yes! I think we can safely say that Speed Mate-ing has been successful in Sheffield. In fact, we’ve been completely overwhelmed by the amount of people wanting to make friends. Our first event in January sold out in three days and we had a waiting list of 45 people before the second event even went live. It’s really exciting to see lots of people coming to Speed Mate-ing on their own and then connecting with strangers. The real test – I guess – will be to see if people make long term friends. What can we expect from the next speed mate-ing instalment? Our next Speed Mate-ing event is at The Leadmill for the first time – it’s a much bigger venue so there’ll be chance to make even more friends. There’ll be ice-breakers, games, provocations and lots and lots of chances to meet new people. Plus, there’ll be a club night on afterwards, so if people make new friends and want to dance – they can! Sum up Girl Gang Sheffield in no more than five words. Community, creativity, empowerment, collaboration and fun! Why the Steel City for you? 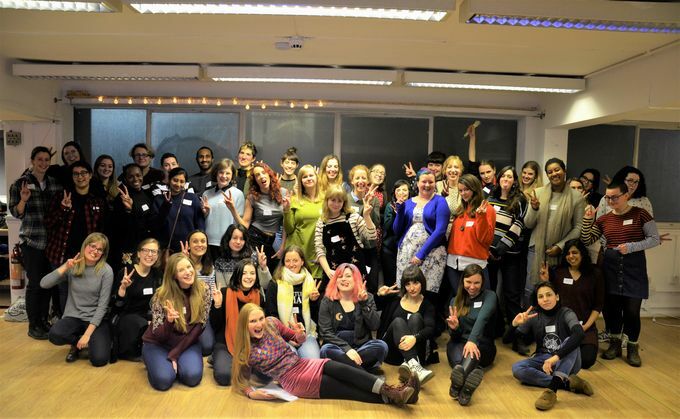 Girl Gang was founded in Sheffield in 2015 with an immersive screening of Mean Girls, which went on to win Best Single Event at the Film Society of the Year Awards. We had so much support in Sheffield, it really made us believe Girl Gang could benefit many other cities! Without it, I don’t think Girl Gang would have spread to Manchester, Leeds and Edinburgh. So, although Speed Mate-ing started in Manchester, we knew it would have a good reception here because the community in Sheffield is really strong. What are your plans, if any, for the future? 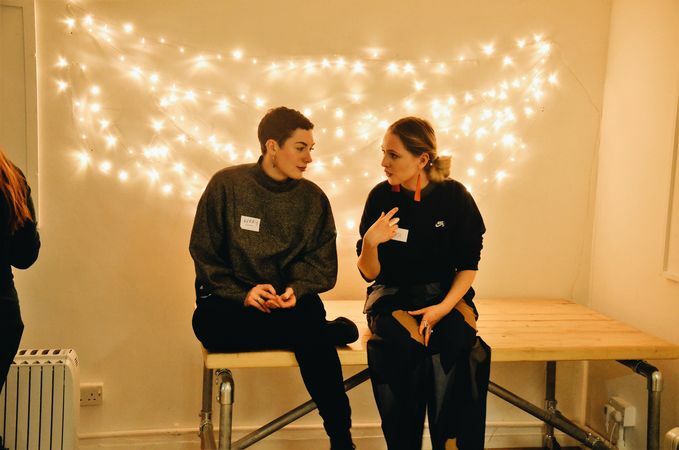 We’re always dreaming up new ideas for Girl Gang events, but our main motivation is to establish events that celebrate female creativity and collaboration. In April, we’re hosting a brand new series of events called DRAFT, where artists can showcase their work, meet other artists and get expert advice. I’m sure by the end of the year we’ll have launched more zines, hosted more parties and made lots of new friends at Speed Mate-ing too. International Women’s Day was this week. Who would you say is your biggest female inspiration and why? At Girl Gang we are huge fans of Bikini Kill/ Le Tigre/ The Julie Ruin frontwoman Kathleen Hanna. In 2016 we produced a huge screening of The Punk Singer – a documentary about Kathleen and the history of riot grrrl. During the process of setting it up, we tweeted Kathleen and to our amazement she asked us to post her all the things we’d made. Then, on her tour to the UK with her band The Julie Ruin, she read the Girl Gang Zine onstage. We were so excited! Kathleen is the real deal! She’s known for establishing the riot grrrl movement, encouraging women to work together and step out in new creative skills. To see her do that for us, even though she is an international star, was so encouraging for all of us. How would you like to see society change for women in the modern world? There are so many answers to this. This week it was International Women’s Day and it made me realise that we still have quite a long way to go in terms of seeing women recognised as equal citizens with equal pay, equal opportunities and equal value. Although I’ve been encouraged by the rise in awareness amongst men for the issues women have to deal with thanks to #metoo and other campaigns, I think there is a huge proportion of society that still think women are complaining about nothing and “feminism has gone too far”. This week I’ve had to fend off the question “when is International Men’s day?” multiple times. Men sometimes tell me that Girl Gang is sexist because we showcase women, without thinking about the fact the majority of gigs/ DJ slots/ films/ comedy shows/ art exhibitions etc. etc. are primarily populated by men. I would like a world where everything is so diverse, we don’t have to have these conversations anymore. If you’re looking to make friends that’ll have your back, book your tickets here and head down to The Leadmill on 28 March. Don’t forget to use #SheffAfter5 while you’re there!